Remember when you were a child and you had to get booster shots to protect against certain diseases? The booster was necessary because the effect of the first shot didn’t last a lifetime. The same holds true with anti-aging. You can’t just do something once, and then expect it to last forever. Time, pollutants and gravity take a toll on your skin and body. Periodically, you need some anti-aging energy boosters. You need fresh air and sunshine regularly. That doesn’t mean getting a suntan. Be smart and use a high number SPF sunscreen to avoid skin damage from ultraviolet rays. And don’t stay outdoors during the mid-afternoon hours when the sun is most powerful. Go out in the morning and late afternoon. Reduce the heat inside your home. Keeping the temperature too warm causes the air to dry out, which is as bad for your breathing as it is for your skin. Plus, you’re more likely to be lethargic in a room that’s too warm. If you’re slightly chilled, reach for a sweater instead of the thermostat. For fatigue than gasoline is useful in quelling a fire. When you need a quick snack, choose protein, fruit, nuts or seeds. You’ll get more energy without the sugar rush and sugar crash that’s so draining. Take part of your vitamins and minerals in the morning and the remainder in the evening. That way, your body has a more consistent level of support all day. The CoQ10 enzyme is a great natural energy booster without the damaging properties of hyper-caffeinated, so-called energy drinks. Study after study has shown that a nap of 20-25 minutes is enough to give you an energy boost to make it through the rest of the day. Set a timer or the alarm on your cell phone for the allotted time, and then relax in a quiet place. If your office is too noisy, take a nap in your car. As soon as you feel fatigue washing over you, stop and power nap. You’ll be surprisingly alert with just that short period of rest. I find myself having to do this one often, and I do feel so much better when I take that “power nap”. My husband asks me often how can I do that and then get up and do stuff, I just respond I have to because my body is telling me it’s time for a break. 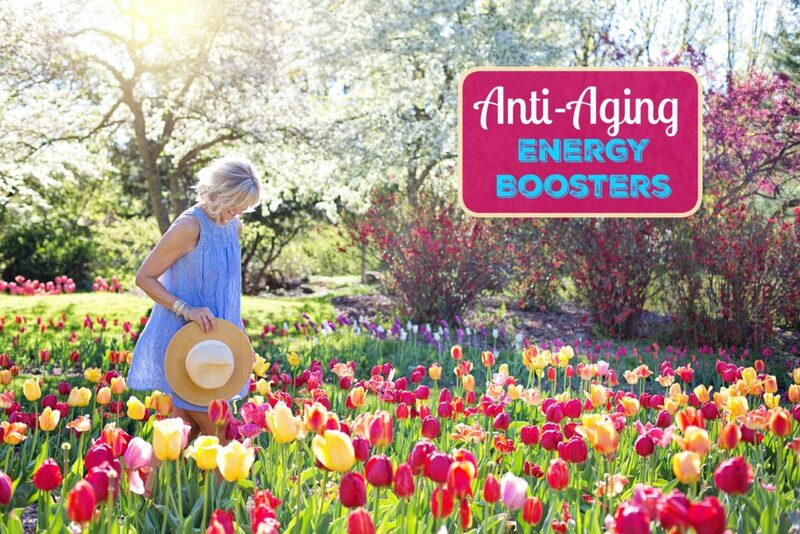 Choose several natural energy boosters that will keep you active and alert for many years. Staying fit and healthy and watching after yourself will help Mother Nature provide you with the youthful activity level that you desire.